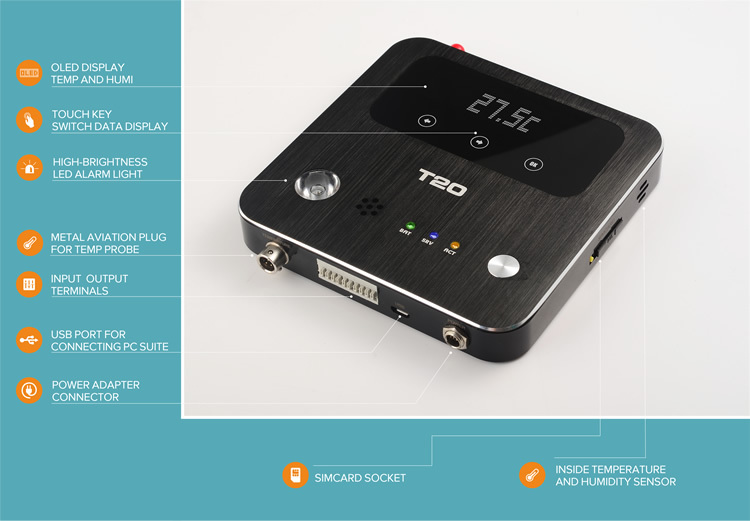 · It has three sensors, ambient temperature and humidity plus another temperature probe on a cable. · Besides being a monitor, logger and alarm, it can also control and be used as a thermostat. · SMS operation- data and configuration queries can be done via SMS- You can monitor and receive Alarms on your mobile via SMS Text messaging and you can also assign 9 more mobile users. · Highly configurable and easy to use remotely. · Logged historic temperature and humidity data can be downloaded with Wifi or GPRS for archiving or analysis.